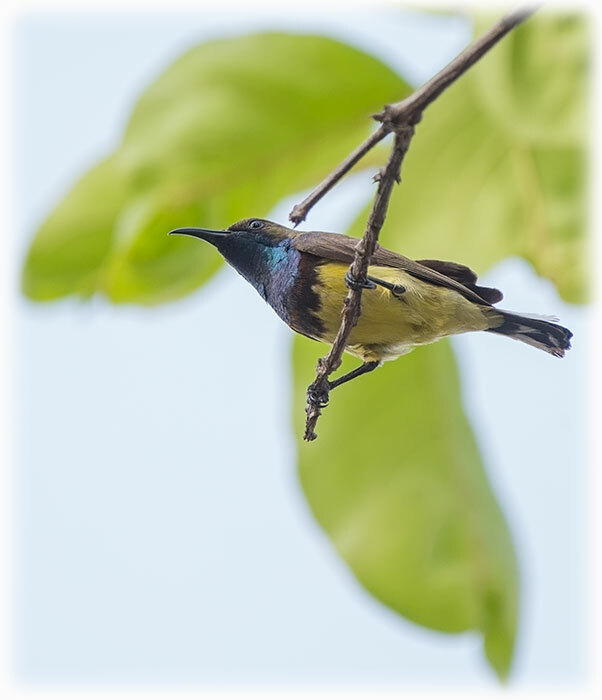 The olive-backed sunbird (Cinnyris jugularis), also known as the yellow-bellied sunbird, is a southern Far Eastern species of sunbird. 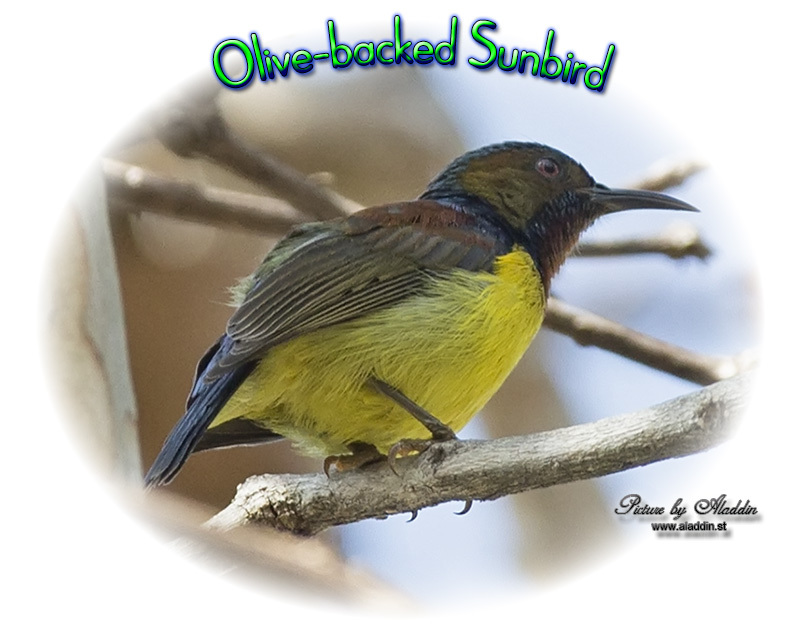 The olive-backed sunbird is common across southern China and Southeast Asia to Queensland and the Solomon Islands. 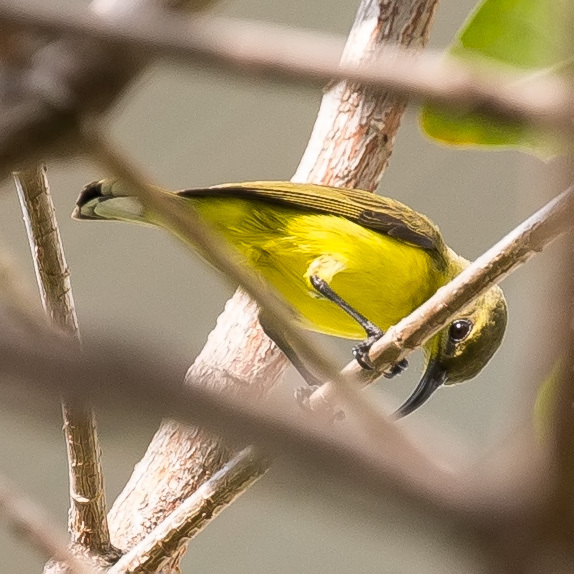 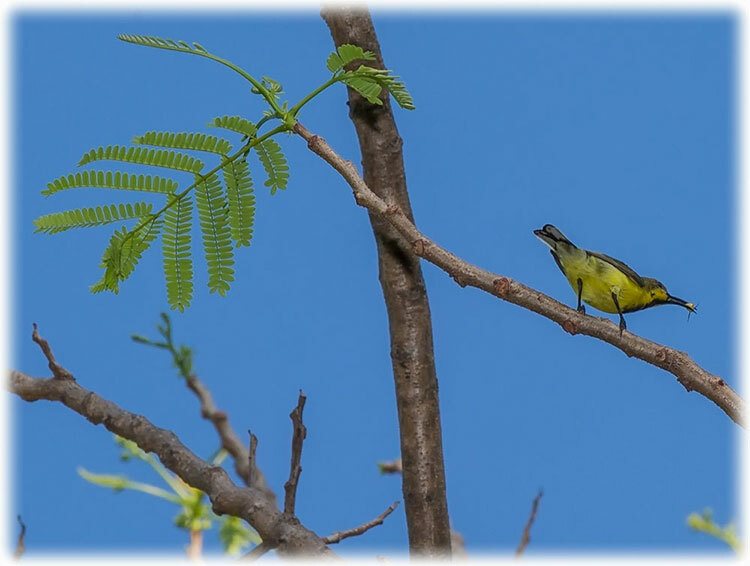 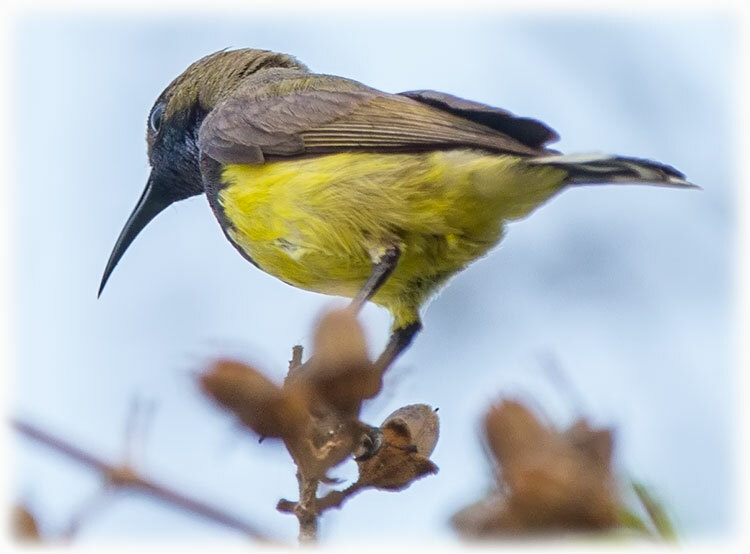 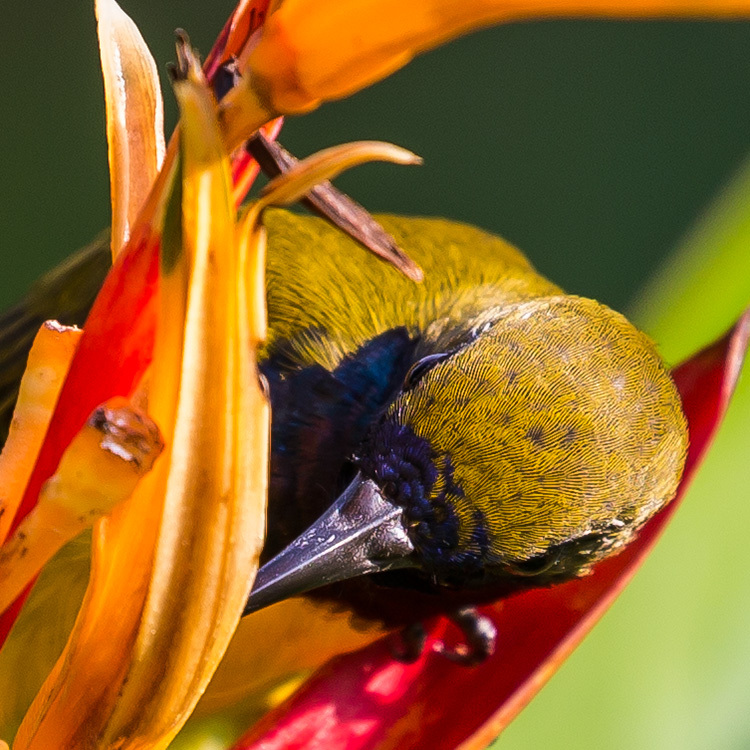 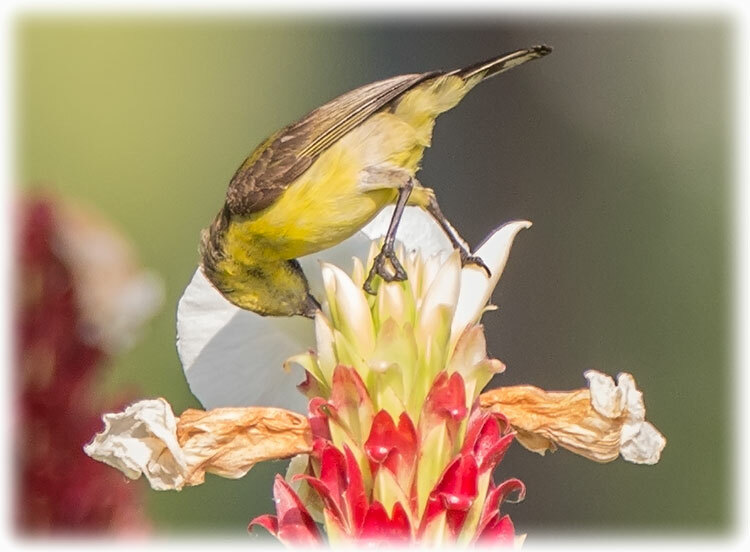 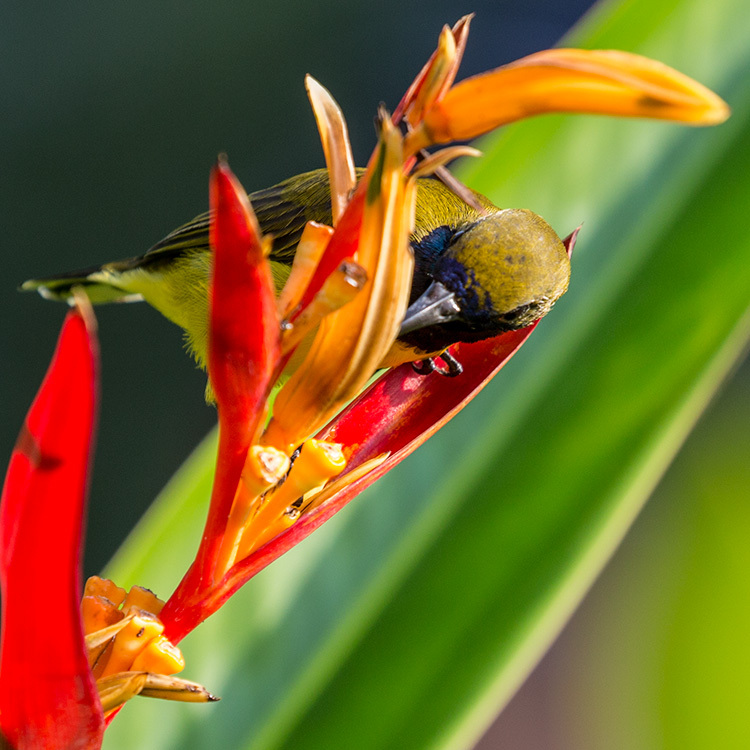 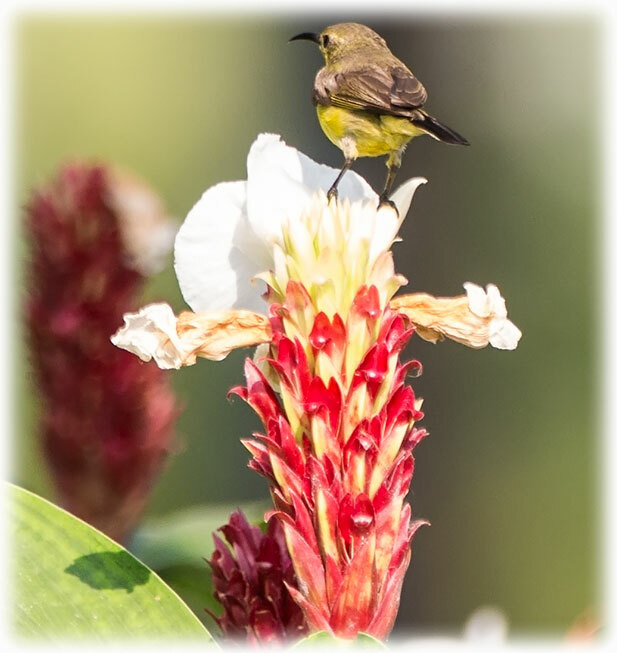 Originally from mangrove habitat, the olive-backed sunbird has adapted well to humans, and is now common even in fairly densely populated areas, even forming their nests in human dwellings. 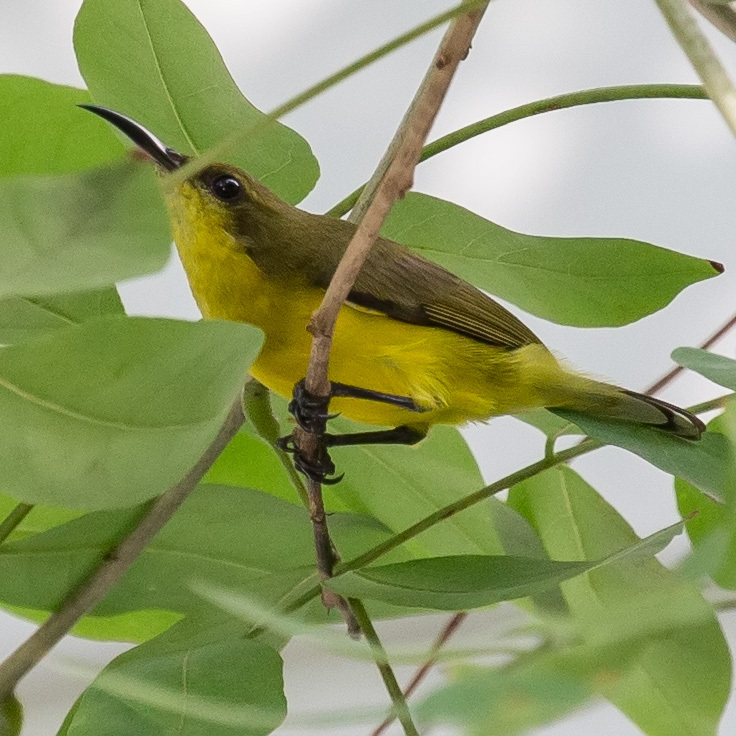 In 1760 the French zoologist Mathurin Jacques Brisson included a description of the olive-backed sunbird in his Ornithologie based on a specimen collected in the Philippines. 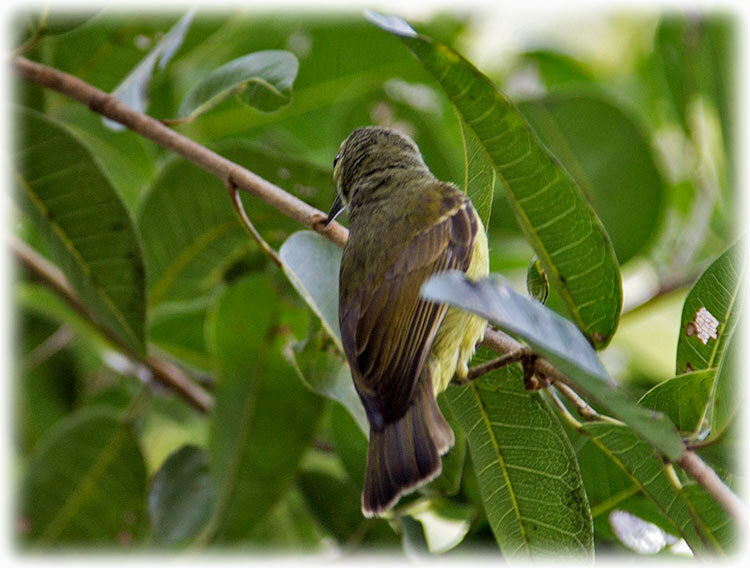 He used the French name Le petit grampereau des Philippines and the Latin Certhia Philippensis Minor. 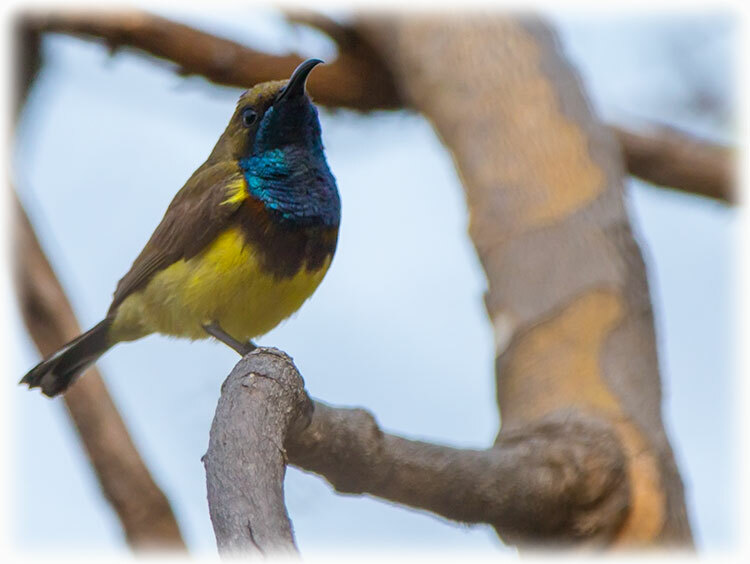 Although Brisson coined Latin names, these do not conform to the binomial system and are not recognised by the International Commission on Zoological Nomenclature. 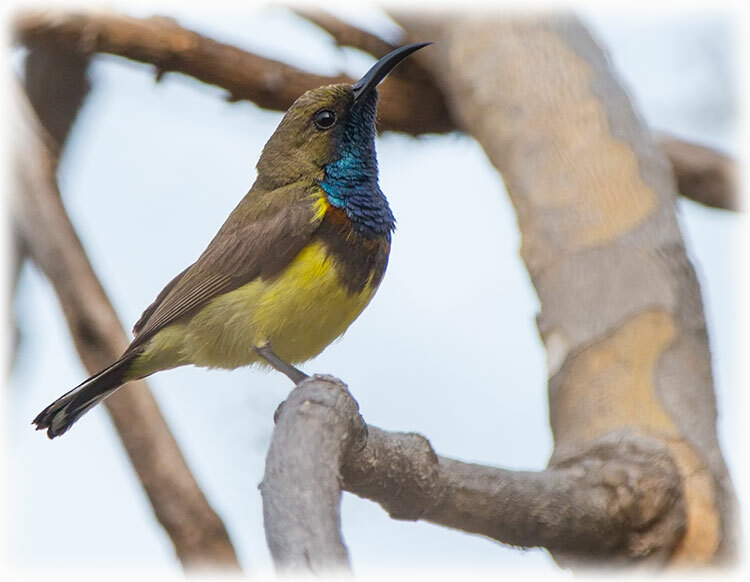 When in 1766 the Swedish naturalist Carl Linnaeus updated his Systema Naturae for the twelfth edition, he added 240 species that had been previously described by Brisson. 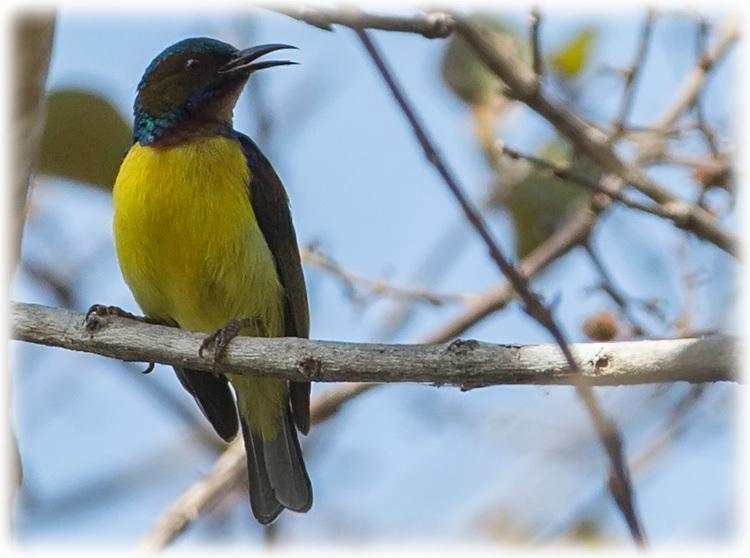 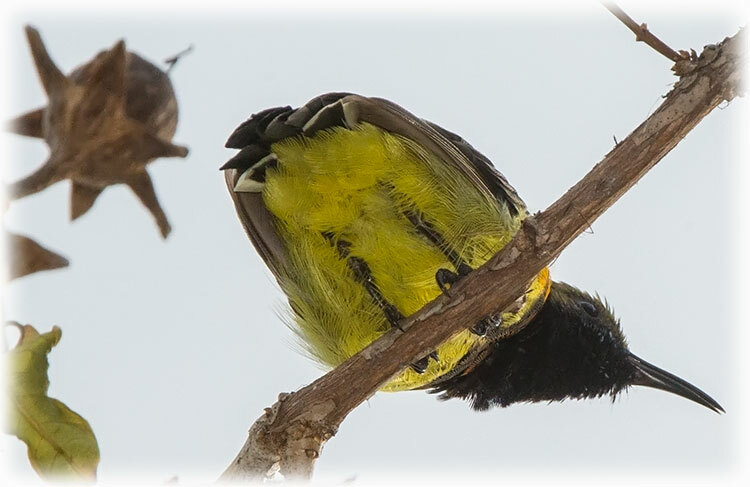 One of these was the olive-backed sunbird. 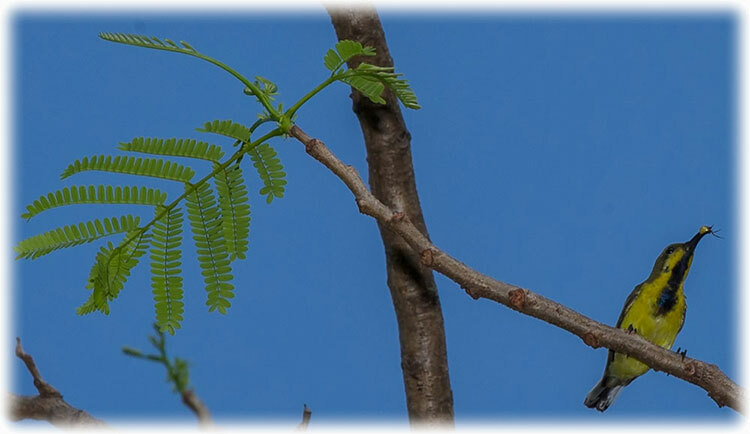 Linnaeus included a brief description, coined the binomial name Certhia jugularis and cited Brisson's work. 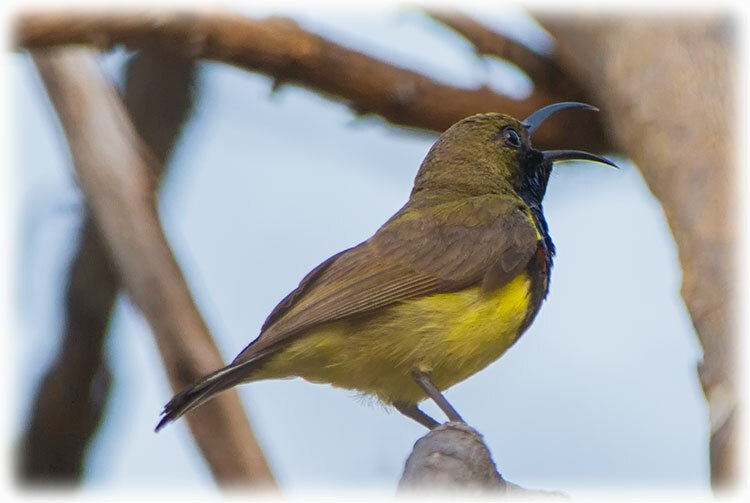 The specific name jugularis is Medieval Latin for "of the throat". 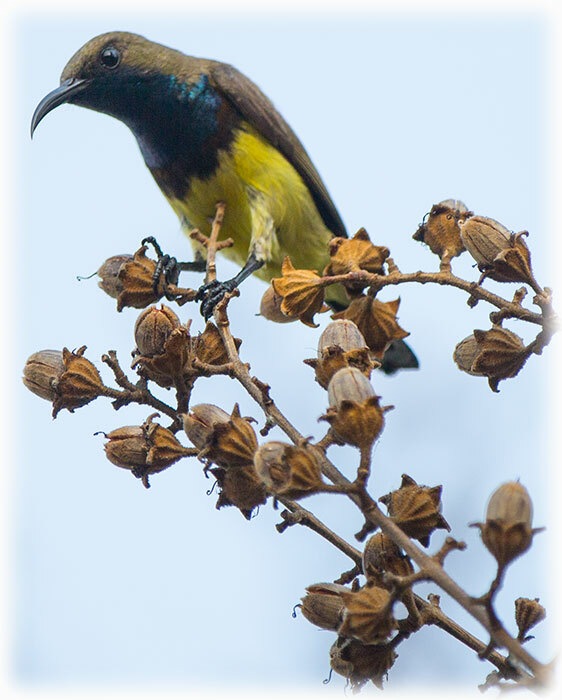 This species is now placed in the genus Cinnyris that was introduced by the French naturalist Georges Cuvier in 1816. 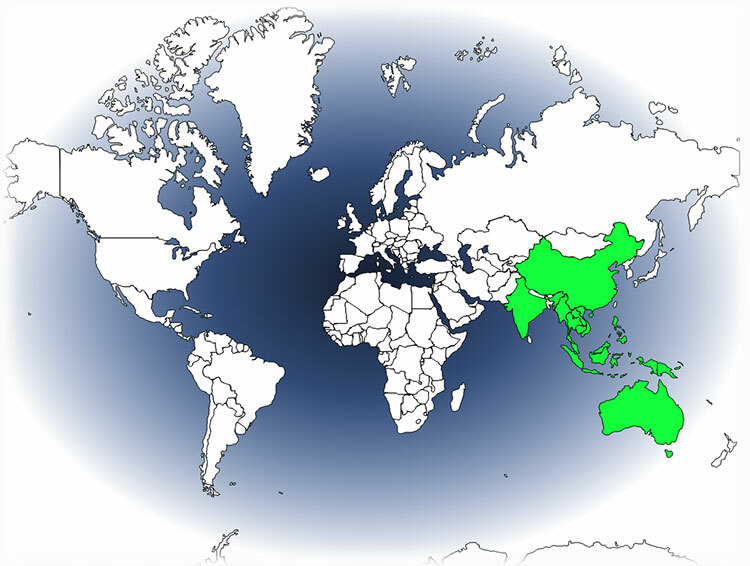 There are 21 subspecies. 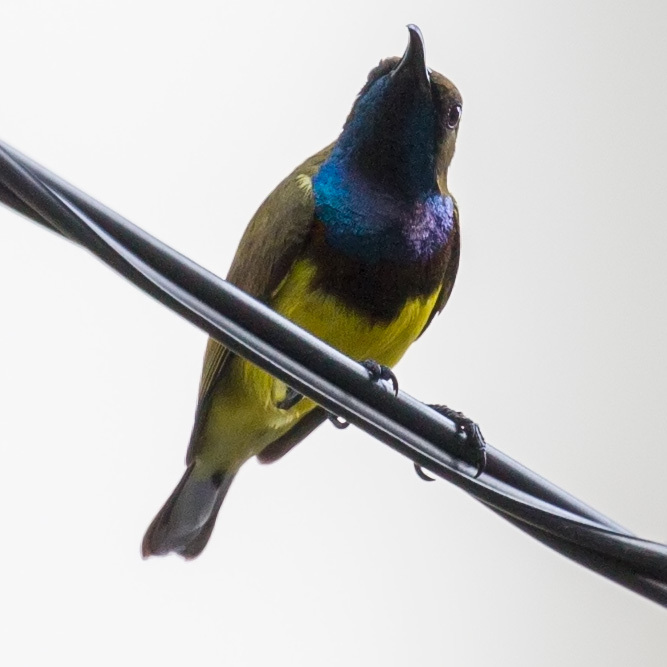 They are small songbirds, at most 12 cm long. 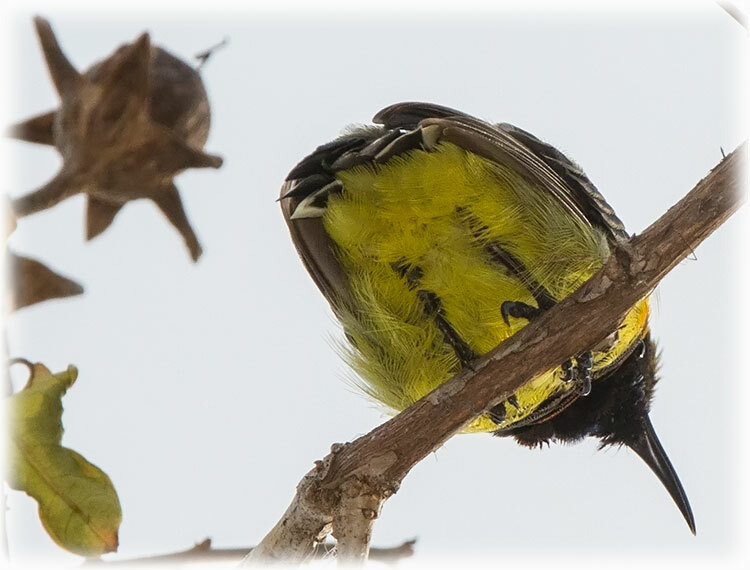 In most subspecies, the underparts of both male and female are bright yellow, the backs are a dull brown colour. 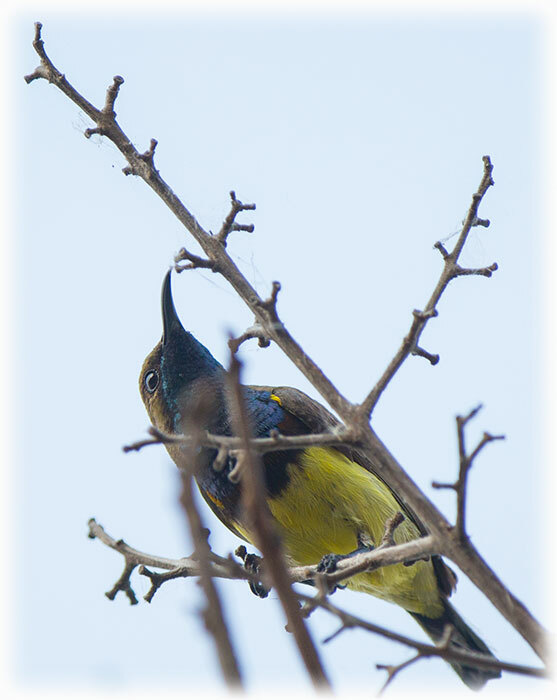 The forehead, throat and upper breast of the adult male is a dark, metallic blue-black. 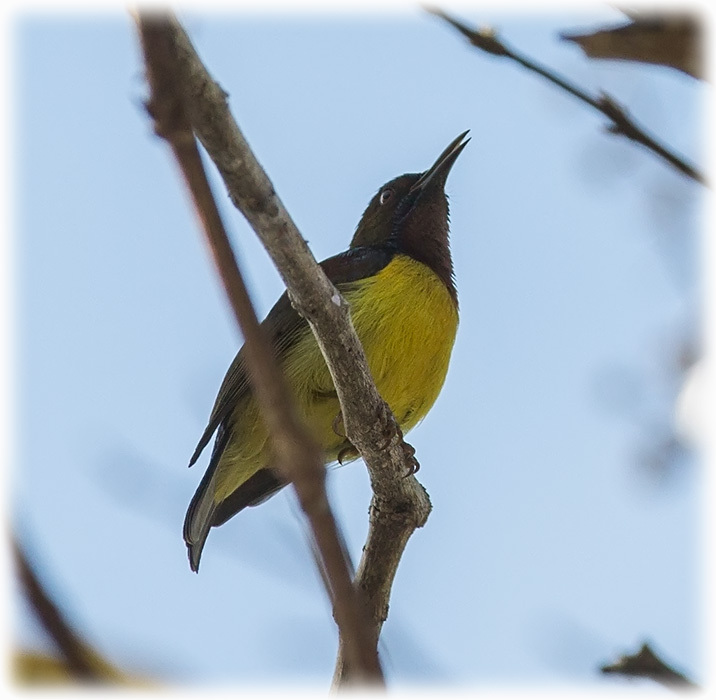 In the Philippines the males of some subspecies have an orange band on the chest, in Wallacea and northern New Guinea some subspecies have most of the underparts blackish, and in southern China and adjacent parts of Vietnam most of the underparts of the male are greyish-white. 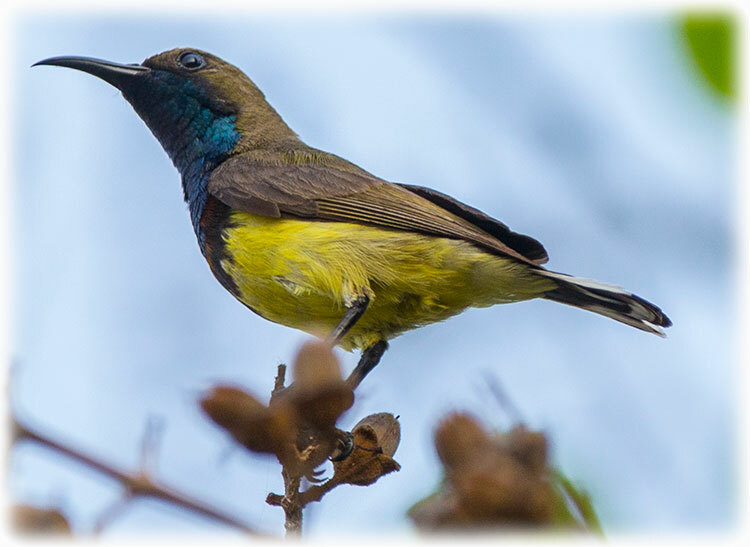 The birds mate between the months of April and August in the Northern Hemisphere, and between August and January in the Southern Hemisphere. 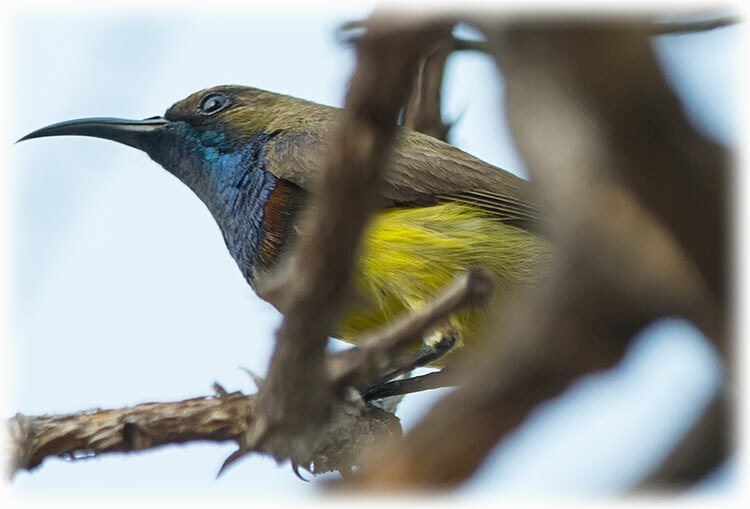 Both the male and the female assist in building the nest which is flask-shaped, with an overhanging porch at the entrance, and a trail of hanging material at the bottom end. 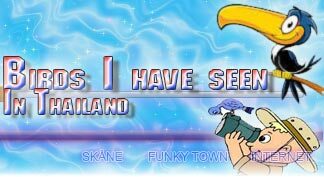 - Also known as Bang Krachao which is often referred to as the "Green lung of Bangkok"